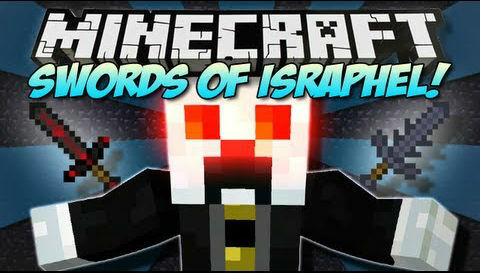 Swords of Israphel Mod adds some more new types of Swords to your Minecraft, each of them has its own special funtions. INSTALL FORGE MODLOADER [FML] BEFORE Swords of Israphel [SOI]! INSTALL IN SPECIFIC ORDER! Install MinecraftForge in that JAR. Install Swords of Israphel in that JAR. Start Minecraft, and have fun! Updated to MC 1.7.2 – v0.4. Complete Recode and changes to almost all features. Leech Bow changed to Wind Bow. Now has knockback randomized. Still heals 1/2 hp per shot. There was too much interference with Pruqa items, and unbalanced the world. Started working on SwordsofIsraphel API. Overrided 1.7.2 features with FieldAccessor @author (me) – Twinklez. Deprecated – shut down features that were no longer used or functioning. SOIAPI – added api @interfaces to start on the API. This version works for 1.6.2, and all 1.7 snapshots because of reobfuscate_srg. Added new recipes and a tick handler, which updates every second. If the ticks are unstable then an error will display. This version has bugs! The whole texturing and chat features have been reversed by Mojang, which makes it extremely difficult for me. Added AIManager for later releases of Israphel, the scared mob?